December is finally upon us. This means a lot of waking up in the dark, ugly winter sweaters (plus thermal tights under your trousers if you’re a chicken about the cold like me), thick wool scarves and faux-leather gloves, as well as a constant chill outside that makes you basically want nothing more than to stay in bed and watch Netflix all day (which for those interested has recently become available in the Netherlands (don’t do it)). Whilst December might bring out the winter blues in some, for me it is probably my favourite time of the year. December in Leiden means Christmas lights on the trees outside, it means mulled wine and charades with friends, it means hopping on your bike at night and just riding around the cold, calm town, it means planning on when and where to go and pick out your Christmas tree, it means trying to plan a pre-Christmas dinner with your friends before you all go back home or it just simply means enjoying gezelligheid times with roommates. The Lowlands definitely has a really different buzz to it in winter, you can just feel it. 10. Sinterklaas is leaving Holland tomorrow (if you don’t know what I’m talking about check out my fellow blogger Gemma’s piece http://theleidener.com/2013/11/30/sinterklaas-is-coming/), so tonight is your last chance to put a carrot in your shoe and hope you’ve been good (or alternatively be generous and leave a gift for a loved one along with a funny poem you wrote about how much you love them (or not)). 9. Go buy a Christmas tree! They go on sale December 6th onwards and sellers are scattered all over town (for cheap decorations I’d recommend Xenos, Vibra, or Zeeman). 8. Drink a big steamy cup of Caramel Hot Chocolate at Starbucks. It’s basically Christmas in a red cup. 7. Go ice skating in the city center (Nieuwe Rijn)! The ring opens December 7th and you can rent ice-skates so don’t worry if you don’t own a pair. 6. Now that you’re chilled to the bone from ice skating (ugh) go warm up by drinking some mulled wine (gluhwein) at Einstein’s (also on Nieuwe Rijn for those that live under a rock). 5. If number 7 makes you realize you are a die-hard ice skating fan, and if this winter turns out to be as cold as they are predicting, then go make us proud by participating in the Elfstedentocht (Wikipedia translation: Eleven Cities Tour). 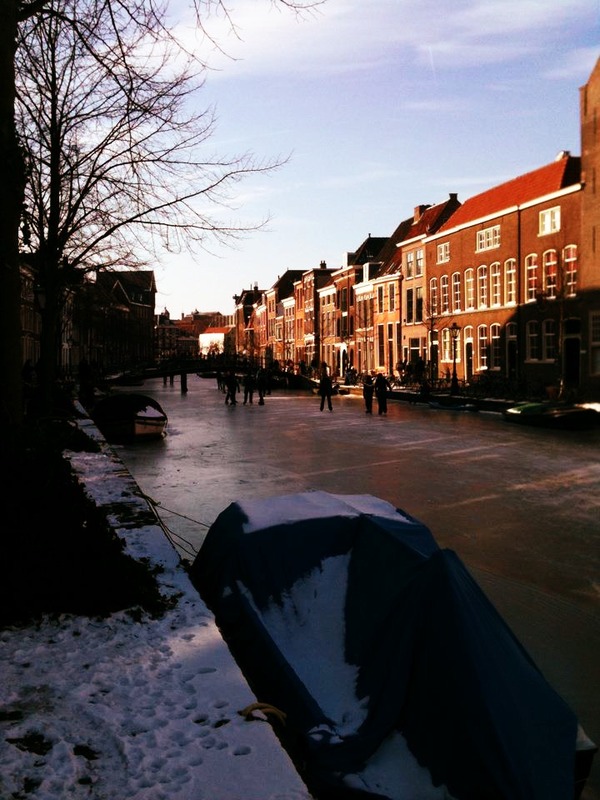 This takes place generally once a year (if the canals freeze over) and gives the average Dutchman a chance to show off his finely acquired ice skating skills. 4. If you’re not feeling as courageous then I definitely do recommend skating/walking around the frozen canals in Leiden (this is definitely safe as I saw parents pushing baby strollers WITH LIVE BABIES INSIDE doing it). 3. Invite your friends over and attempt to make a real gingerbread house with icing (or alternatively be lazy and buy a pre-made kit at Xenos). 2. If you’re old-school then head over to Deventer for the annual Dickens Festival (December 14-15). The festival celebrates all things Dickens – people dress up in Victorian era clothing, there are carol singers as well as choirs, and a large Christmas market. 1. Speaking of which – Kerstmarkts, the most important thing to do on this list! They are scattered all over Holland, as well as Belgium and NS-High Speed is thoughtful enough to offer special deals to get you there (http://www.nshispeed.nl/nl/kerstmarkten). If you really want to get into the Christmas spirit and walk around a life-size winter wonderland then GO GO GO (and send me pictures so I can bask in the glory of knowing I’ve made the world a better place). So there you have it folks, my top 10 things to do this winter in the land of the low. Beautifully said Ela…one thing….the Sinterklaas gift thing that is so magical is that you have to spend time making something that captures the most important event of the year, and then hide within it your ‘surpris’ which is also an appropriate small gift. For you this year? It would have to be something about the protests back home. What would I make? Ela on the streets, or Ela behind her laptop reporting on….Istanbul protest scene on your screen….hand made…and an appropriate book of Turkish poems buried inside the screen? I would like to start my study at there but why replaying late on my mail box? 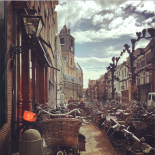 This entry was posted on December 4, 2013 by admin@theleidener in Ela, Living in Holland and tagged Christmas.